information in inches (1 inch = 2,54 cm) on tubes mostly with ” specified (for example: 1 inch = 1“). If you need a different dimension than those mentioned below, there will be also a solution. All water will flow through your Waterfit. 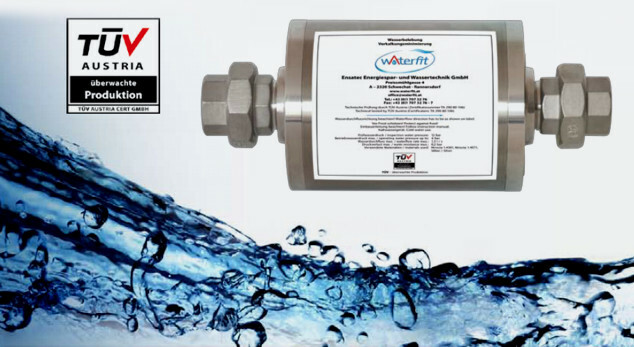 Installing of your Waterfit device has to be made into the cold water pipe close to the water meter / water clock or if available after the water filter or if available after the water reducing device or if available after the water pump. We recommend the installation through the installer you personally trust. Some installers you will also find on Waterfit partners. Do you have questions? We advise you gladly. Enjoy the difference with Waterfit. Sure. Sustainable. Today and tomorrow.